The worlds most simple and effective invoicing software. Easily manage all your invoices, quotes and credit notes and save time and money! 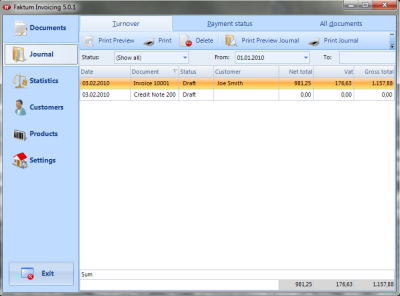 Faktum Invoicing is a very easy to use invoicing and billing software solution. Ideal for small businesses and self employed professionals. Create professional invoices within minutes! Flexible, Simple and Complete! Download the full functional 60 day FREE TRIAL now and experience the benefits.